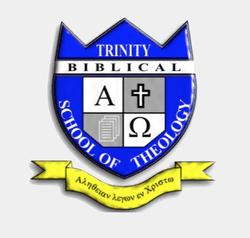 The desire of Trinity Biblical School of Theology is to facilitate our obedience to the commands to “teach all nations” (Matthew 28:19-20) and to “be holy as He is holy” (1 Peter 1:16). In order to facilitate our obedience we must see our goal as directing people to know God more in every facet of life and field of study from salvation to spiritual maturation with the Word of God as their final authority. In order to accomplish this goal, our teachers must commit to: 1) using the Word of God as the foundation of studies (2 Timothy 3:16); 2) continuing to grow in the grace and knowledge of our Lord Jesus Christ (1 Peter 3:18); 3) seeking God’s power for themselves and their pupils through prayer (2 Thessalonians 1:11-12).